Unmounted contact prints: Sometime around 1900 Huffman produced a series of unmounted contact prints. They were marketed as sets and came in small manila envelopes (see example above) with labels detailing the image numbers and titles. 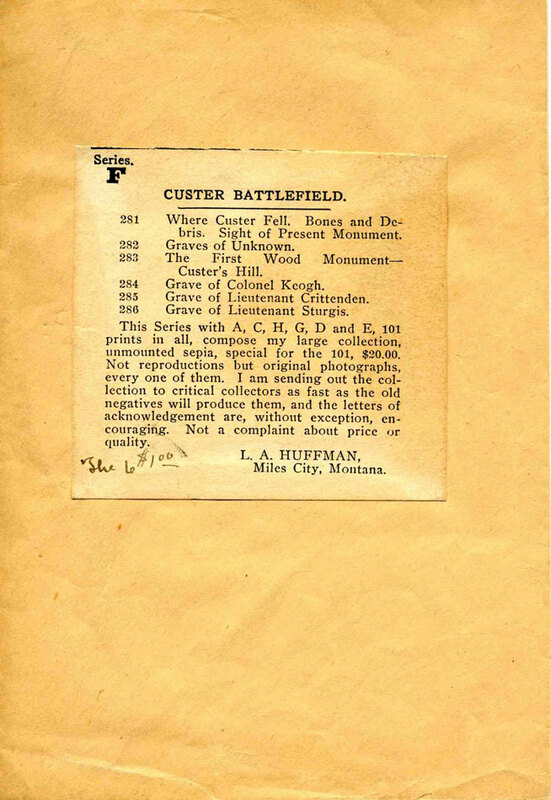 These sets were lettered A - M and ranged in size and number from from Series F, "Custer Battlefield", six - 4 x 3 1/2 prints, to Series A, "Roundup Views", thirty - 6 x 8 prints. 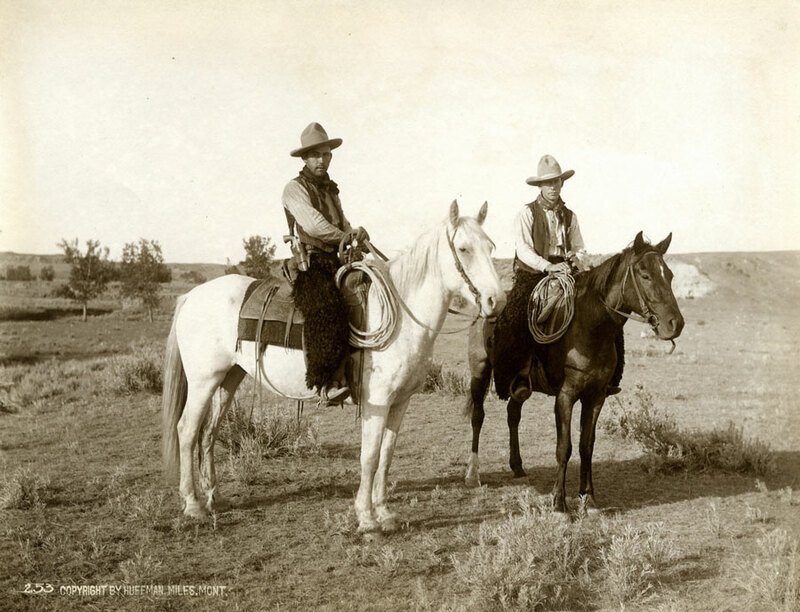 All were sepia toned and printed on thin, printing-out paper.